We came across one of our favourite animals on holidays this summer… the gecko. They really are fascinating creatures and their ability to holds their own body weight while scaling a vertical wall or even walking upside down, is quite incredible. 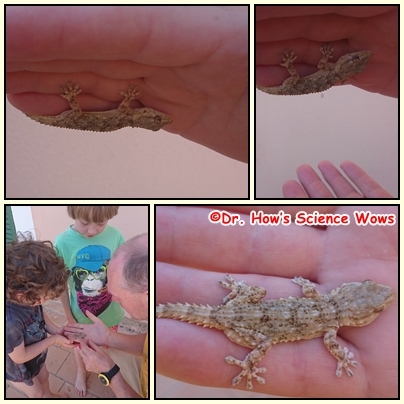 These photos show a gecko “sticking” to my husband’s upturned hand. he said it felt like he literally turned on and off the stickiness, and it seems that is exactly what he does. How do geckos defy gravity in this manner? 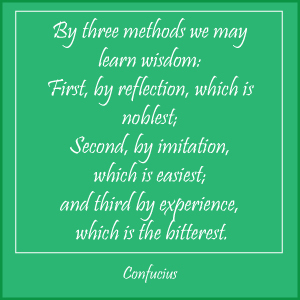 This is a topic of great interest and debate among scientists – can you imagine all the positive applications to society if we could replicate this ability? DID YOU KNOW THAT A GECKO CAN SUPPORT ITS ENTIRE BODY WEIGHT ON ONE TOE? 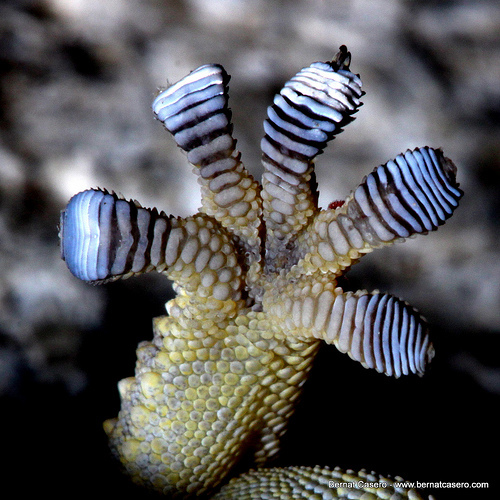 The toes of a gecko are covered in hundreds of small ridges called lamellae. Each ridge is covered in millions of hairs called setae. Setae are much thinner that human hair (up to 30 times thinner). Each seta then splits at the top into tiny strands called spatulae – there can be up to 1000 spatulae on one seta (if you think you have problems with split ends, pity the poor gecko!). So you can begin to imagine how tiny these spatulae are, in fact, they are so tiny that they can bond with the molecules of the surface they are touching. This bonding is referred to as van der Waals interaction! The minute size of the setae and their sheer numbers means that the gecko can get a lot closer to the surface he is climbing, with a really large contact area. Another great thing about this type of bonding is that it is what is called dry adhesion – it doesn’t require any sticky compounds or leave any messy residue. How does the gecko unstick itself? This gives us an idea of how the gecko sticks to the surface, but HOW DOES IT UNSTICK? The adhesion (sticking) process is said to be one-directional…imagine sticking a piece of sticky tape to a surface and then taking hold of one edge and peeling it back to remove it… the gecko does something similar. The direction of the setae that bond to the surface are very important as they allow a directional force to be applied. A directional force that can be reversed means that the gecko can unstick as quickly as it sticks. It really is like turning on and off a switch. As well as changing the direction of the setae, geckos’ toes bend in the opposite direction to humans so they can “peel” their toes off the surface from the tip backwards. Add to this the fact that geckos have rotating ankles and you start to understand how they can move in any direction. All of this combines to a very efficient system that allows the animal travel at great speed across seemingly impossible surfaces. DID YOU KNOW THAT A GECKO CAN TRAVEL AT 20 TIMES ITS OWN BODY LENGTH PER SECOND? Gecko technology – what could we do if we had this ability? With all this amazing ability at its “finger tips” it is not surprising that geckos and their “dry adhesion” are of great interest to the worlds of science, technology and medicine. Robots that can scale any surface would be great in extreme or rescue situations, right? Or how about a suit we could wear to allow us to climb like a gecko? Geckskin is one of the newest gecko inspired materials where the physiology of the gecko (skin, tendons, bones) is part of the inspiration. Or how about gecko inspired paddles that can support a weight of approximately 115 kg? Maybe the amazing feats of spiderman will no longer be confined to comic books and movie animation. Did you know that geckos can climb in a vacuum? So now we can start thinking about using this technology in space! Or how about using the technology in bandages? – inspired by the observation that geckos can climb in wet conditions… a bandage that stays on when wet.